This program (LSP) is mainly designed for secondary school students (Yrs: 9-11), who want to learn enterprise management and aspire to become a practising entrepreneur. It will enlighten students with basic enterprise capabilities, enterprise financial skills, how to create and run an enterprise. It will enable students to create, run enterprise simulation and evaluate their enterprising impact. LSP consists of three consecutive modules, which are: learn enterprise, create your enterprise and run your enterprise. Modules are delivered using interactive and practical learning, online enterprise simulation, self-assessment, teamwork, creating and pitching a business, testing a business, exercises, examples and discussions. The program is a perfect fit for the school in the enterprise vocational education. The program offers practical lessons to the students preparing for the GCSE qualification in business studies. It is simple, easy to learn and equipped with practical content. Students will learn enterprising mindsets coupled with business skills that can be a perfect recipe to support their future employability. Students will gain key entrepreneurial skills such as critical thinking, decision-making, problem-solving, communication, risk-taking, resilience and teamwork. Students will have the opportunity to discover their entrepreneurial talent. Students will have the opportunity to learn enterprise, create and run an online enterprises simulation, and evaluate impact. Assist students to learn GCSE business studies. Save efforts, time and money of parents to enable the success of their students. Orient the students with their basic needs for future employability and business activities. Encourages students to become self-efficacy and entrepreneur. Enables students to discover his/her entrepreneurial talent and enlight their way forward. Students will learn the enterprise capabilities, enterprise financial skills, how to create and run an enterprise. Evaluates impact for students in enterprise learning. Enterprise business basics & how they influence business activity. Enterprise financial basics & how they influence business activity. Enterprise soft skills & how they influence business activity. Business sustainability and ethics & how they influence business activity. Assess suitability as entrepreneurs and create a personal development plan. Choose the right business idea. Develop and validate a business model. Pitch your business model and receive tips for improvement. Run an online enterprise simulation. Evaluate impact of enterprise education. Business nature: Business purpose, business role, business dynamics, business type of ownership, risk & reward, enterprise and entrepreneur. How all these business nature influence business activity. Startup-ups: Lean startup, startup motivators, business planning, business model, raising money, business accelerators & incubators, innovation, feasibility study, business culture. How all these startup basics influence business activity. Enterprise sale & marketing: Market research, business identification, marketing mix (4Ps), customer segment, competition analysis, market positioning, selling, digital marketing. How all these sale & marketing basics influence business activity. Enterprise human resources: Resources (human, capital, assets, intangible assets), organizational structure, human resources cycle. How all these human resource basics influence business activity. 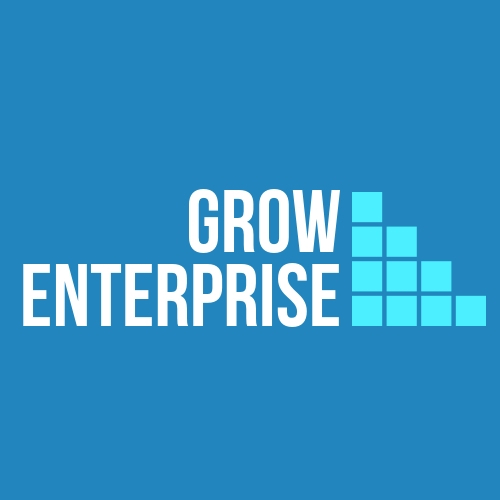 Enterprise financial basics: Revenue, costs, profit & loss, break-even point, income statement, balance sheet, cash-flow statements, budgeting, product costing & pricing, key performance indicators KPIs, financial ratios, forecasting, raising finance. How all these financial basics influence business activity. Enterprise operations: Production, quality, stock control. How all these operation basics influence business activity. Business sustainability and ethics: Definition and applications. Enterprise soft skill: Communication, resilience, decision making, problem-solving, creative thinking. How all these soft skills influence business activity. Assess your suitability as an entrepreneur. Create a personal development plan. Lean startup methodology: Understanding how lean-startup methodology is working including, what is a lean startup, why is a lean startup, what is the startup, lean startup principles, lean startup framework & processes, validated learning, leap assumptions and testing steps. Create your business idea: Sources of ideation, develop a business concept including customer segment, target market, define & testing problem, define the solution, problem-solution fit, prototype, value propositions and define the product. Every student will write his/her business idea based on learning ideation formatting. Develop a product-market fit: Define and sketch the product, estimate the cost of the product, develop and test the commercial offer. Students will practice ways to develop and test the product and commercial offer. Develop and validate a business model: Define your business-model assumptions and plan to test it. Evaluate external influences: Apply external evaluation tools like SWOT (Strength, Weakness, Opportunity, Threat) and PESTEL (Political, Economy, Social, Technology, Environment, Legislation). Pitch your business model: Pitch your business model and receive tips for improvement. Run online simulation game: Students as, on groups of 3-5 students, will be introduced to an online enterprise simulation game and given the chance to run the simulation game. The simulation game is designed to teach student the enterprise management skills, how to virtually run an enterprise and measure their overall performance. Module (1) will be delivered in 2 hours (as classroom lecturing). Module (2) will be delivered in 3 hours (as classroom lecturing). Module (3) will be delivered in 2 hours over one session (as classroom lecturing). Classroom presentation with active learning. The number of learners: Minimum 15 students, grouping for 3-5 members each. Facilities: Computer, projector, screen, sound system, lighting, stationeries. Seating: Round table seating (Banquet type) in groups of about 3-5 learners. Munther Al Dawood – Enterprise & lean-Startup Professional. Enclosed is his Bio Statement. Click Here- The Program Profile. We are keen to provide a wide range of learning resources that can help the students to better understand the subjects of the program. The learning resources cover in depth the subjects of module one – Learn Enterprise and module two- Create Your Enterprise. You please click on the below link to access the learning resources. Click Here – Learning-Resource Kits.